Liu, DMML researchers to collaborate with Yahoo! 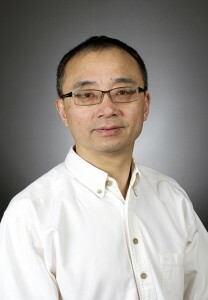 Huan Liu, professor in the School of Computing, Informatics, and Decision Systems Engineering, has been selected for the 2013 Yahoo! Faculty Research and Engagement Program (FREP). He is one of 27 recipients from 24 universities in seven countries that will collaborate with Yahoo! to advance web science. Liu and researchers in the DMML (Data Mining and Machine Learning) lab take on challenging problems facing big data and produce effective and efficient solutions to understanding social media and gaining actionable insights by mining behavioral patterns. Their algorithms and systems are used in humanitarian assistance and disaster relief, in addressing security, privacy and trust issues in social media, and in training the next generation of data scientists and practitioners. Yahoo!’s website attracts millions of visitors seeking news and information. The company started the program in 2006 to engage faculty in scientific collaboration and fund programs in areas of mutual interest.